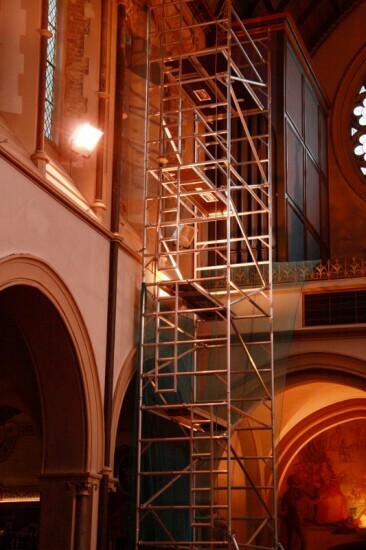 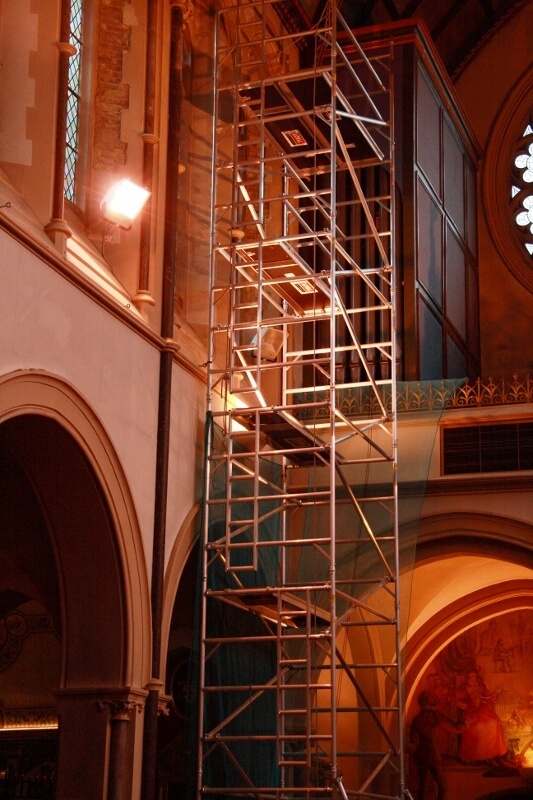 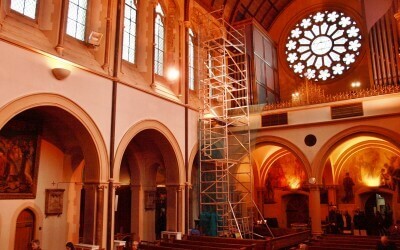 You will notice the large scaffolding tower at the back of church. 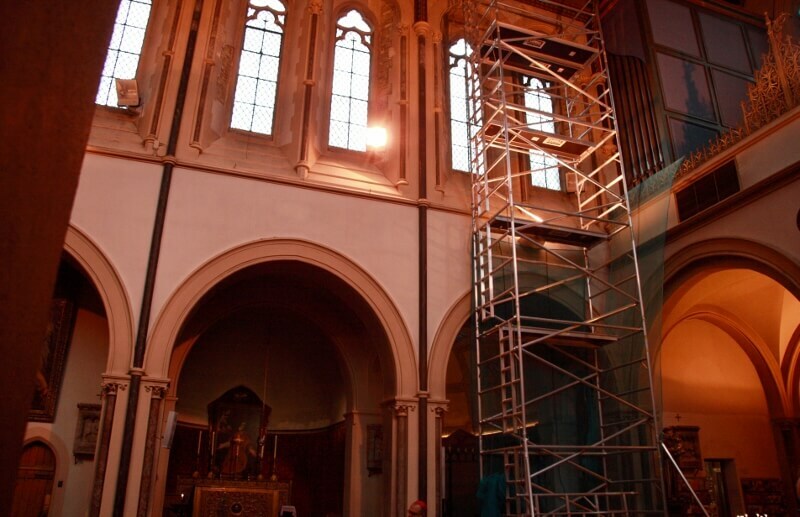 This is because of the little showers of plaster dust which have been falling on the Epistle side of the church. 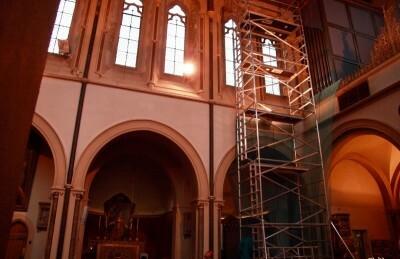 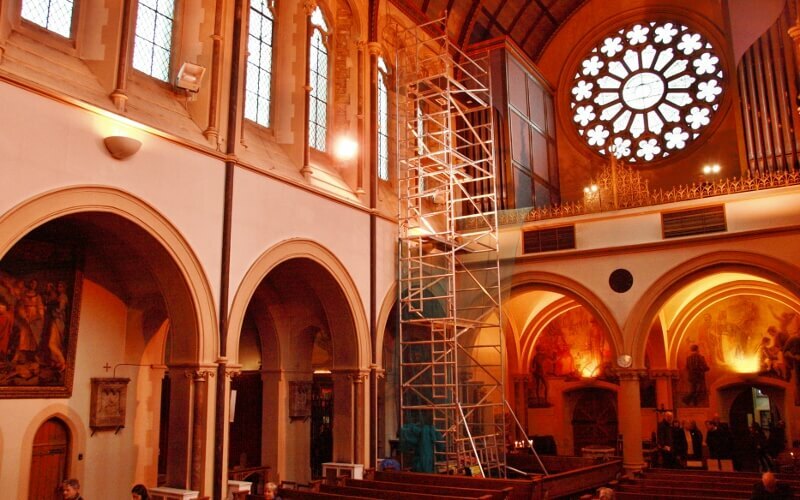 All the loose and potentially-dangerous plaster is being removed and replaced, so that we can all pray safely. 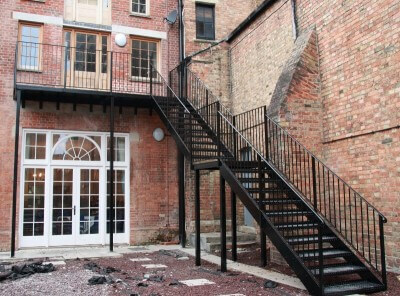 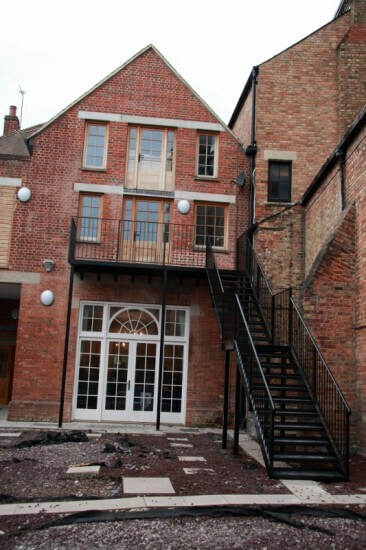 Meanwhile, there is a splendid new fire-escape from the library into the yard to the south of the church, and now that this has been built, the yard will at last be resurfaced.